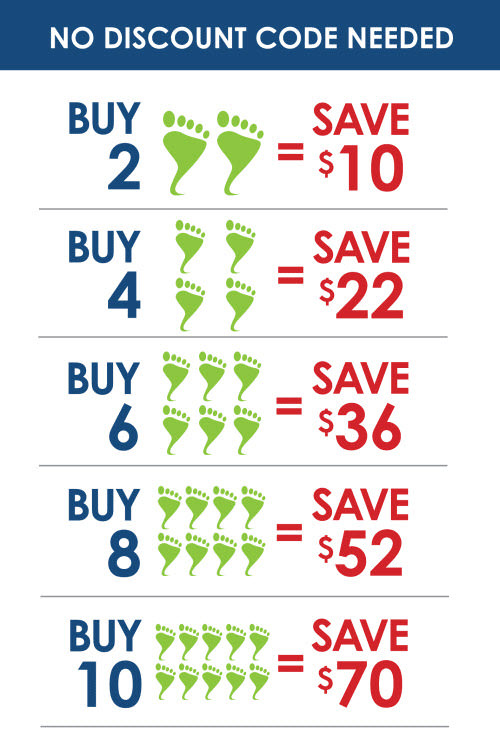 Buy 2 & Save $10 – No Code Needed! Visit our Sizing Guide below, Discounts HERE & Reviews here! 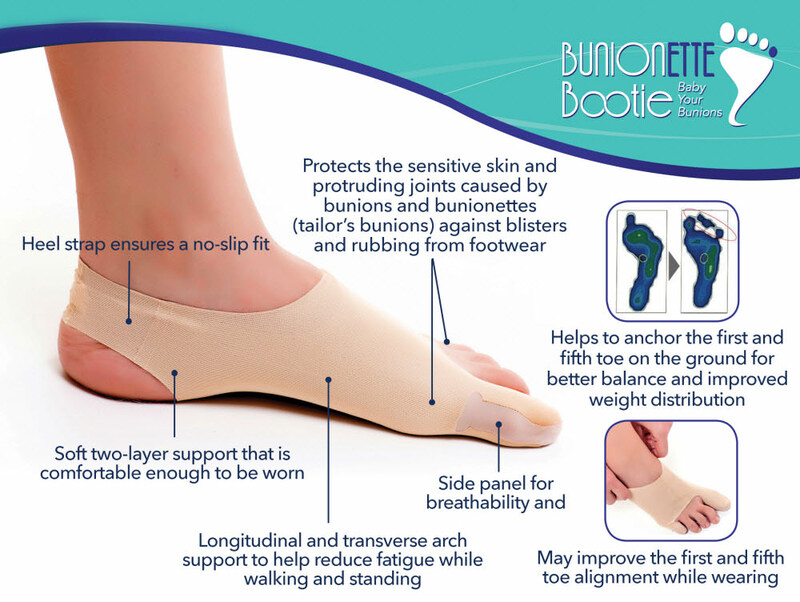 We received so many requests for a Bunion Bootie that would help those with a tailor’s bunion (AKA bunionette) that we introduced BunionETTE Bootie in late 2015. So far it’s been a great hit with our customers! Monday – Friday 10am – 4pm PST. Many people with bunions and/or bunionettes purchase shoes that are 1/2 – 1 full size larger than they would normally, in order to give their bunion some extra space in the toe box of their shoe. Please use your true shoe size when referencing the size chart above. Suggested wear time is 2-6 hours per day initially, working up to a full days’ wear. Remember that feet tend to swell slightly as the day goes on, especially in warmer temperatures. It’s best to try your Bootie on for the first time in the morning. Some people may prefer a larger size to wear to bed at night. The Bootie material will likely relax after a few wears. If you feel you did not purchase the best size for you, we are happy to exchange your Bootie anytime within the first 30 days. 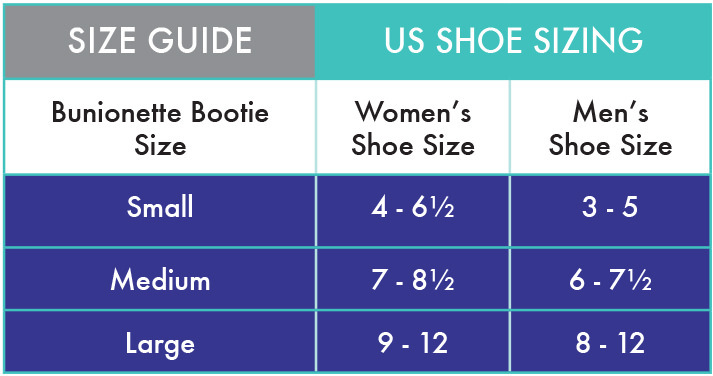 Our Size Guide is still just a guide to help you find the best fit possible but every foot differs in shape and size so remember to measure both feet individually.